It doesn’t matter that acne is quite common when it happens to you, particularly when your teen years are far behind. The fact is, acne affects people of all ages, even though it’s not known why it seems to choose some rather than others. It can be persistent, and an aggressive outbreak can cause scars, both real and emotional, taking a toll on both your skin and your confidence. Perhaps first, we should clear up the difference between causes of acne and triggers of outbreaks. When acne strikes, it’s because of an overproduction of sebum, a waxy substance that lubricates and protects your skin. When there’s too much, sebum can collect dead skin cells, and together these plug skin pores, blocking hair follicles and sebaceous glands, making a perfect breeding ground in which bacteria can grow. This produces the local blemishes, whiteheads, and blackheads associated with acne. However, what triggers these conditions is probably more of interest to you as an acne sufferer, and it’s here that there may be surprises. Here are six suspected adult acne triggers, and steps you can take to minimize the effects of an outbreak. Changing hormone levels are largely responsible for the prevalence of acne for teens going through puberty. 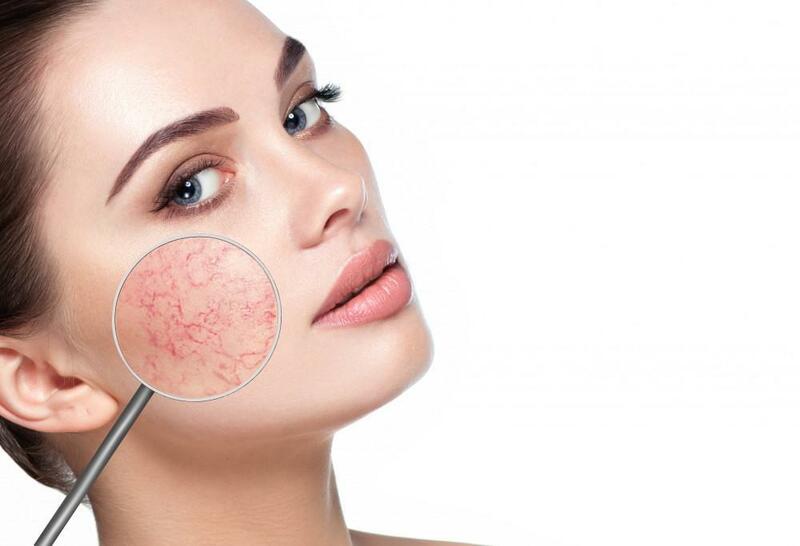 Level fluctuations could also contribute to adult acne, particularly in women, who often undergo changes in hormone balance, through pregnancy, menopause, and even with hormonally-based birth control methods, such as the pill and some intrauterine devices. Acne breakouts can follow months after the change in hormone event. Hormonal changes could nudge your body toward conditions that support acne, but it may be personal care products that add the boost toward active outbreaks. Skin and hair products labeled “oil-free,” “non-acnegenic,” or “non-comedogenic” are less likely to clog pores or stimulate oil production. If your acne followed a change in personal hygiene products, you may have found your culprit. Some medications carry acne as a side effect, or they may trigger conditions that encourage acne development. Common meds with known acne effects include therapeutic hormones and steroid inhalers. If adult acne runs in your family, you too may be affected due to genetic predisposition. If you haven’t yet experienced an adult acne breakout, you may be able to delay or prevent this by following an acne-friendly skin care regimen. We’ve already seen how things like menopause and pregnancy can trigger adult acne. A condition called polycystic ovarian syndrome (PCOS) can cause chronic acne that’s difficult to treat. Acne may be one of the symptoms that leads to a PCOS diagnosis. Statistically, there’s a relationship between acne and stress. As a reaction to stress, your body produces androgen hormones, which may trigger the changes that create conditions behind acne outbreaks. While you may feel odd about buying skin care products usually purchased for teens, many of these products address the conditions you’re experiencing and may prove equally beneficial to you. When home care isn’t enough, it’s time to see the acne specialists at Easton Dermatology Associates. They can evaluate your condition and explore your medical history to determine the most effective course of treatment. You may be prescribed special medications, topical ointments or even laser-based photodynamic therapy. The most important factor in successful acne treatment is starting early in the cycle. Call either office of Easton Dermatology Associates today to book a consultation.